This is quite shameful! 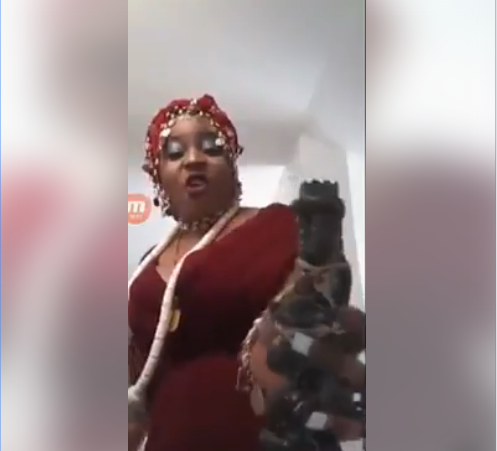 A Nigerian woman based in Spain, has been making the rounds online after deciding to go diabolical against her supposed rival/enemy on Facebook. Meanwhile, internet users have reacted to the trending video. 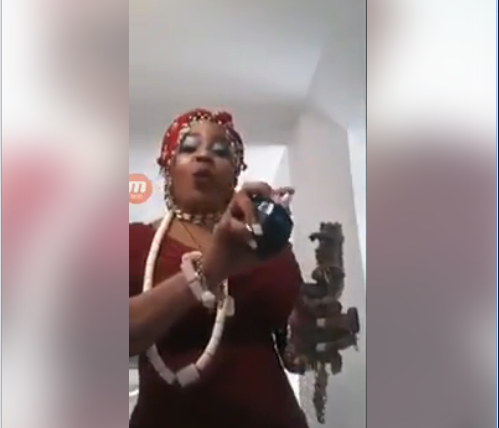 Na she come dey go mad at the end or wetin? Did anyone else notice the black spot on her arm? This one na comedian. 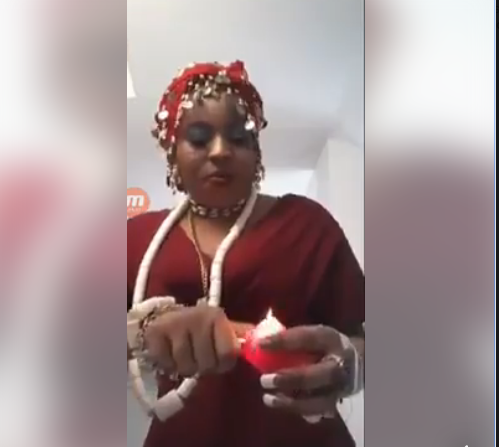 Slhe dey shout Holy Ghost Fire for juju. See juju dey spray perfume. 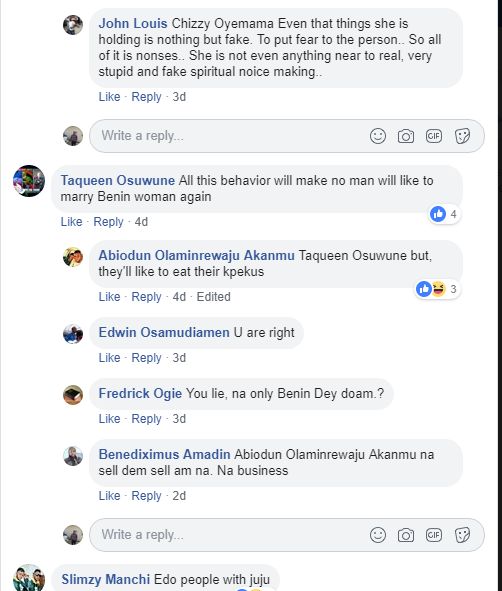 Them non no anything, they think that this a comedy for people's to followed them on their channels is a big lie,yoruba Wiseman says is not the day you cosa iroko tree he realt but one day it will realt,joke or not joke a day is coming for some Edo ladies to see the repaccusion ,because this is a big disgrace to the whole Benin fellow it better to warn all these illiterate ladies before it go far,have you ever saw a yoruba or ibo doing this?no so think before commenting!!!!!!! !